The Finn hesitated momentarily. Had he heard correctly? Best sit and wait. His co-driver repeated the instruction. And that’s how a rally car ended up being driven straight through the middle of a traffic roundabout. No sooner had the Opel bumped up the first kerb than the co-driver turned in amazement and asked what on earth was going on. The driver was equally baffled. The names don’t matter, and the driver didn’t suffer too much from this early communication hiccup. He went on to become a world champion. In a rally car, the driver drives and the co-driver does just about everything else. Motorsport is packed with unsung heroes and co-drivers are right up there with the best of them. Regularly and ridiculously seen as frustrated drivers, the men and women who sit in the seat without a wheel are a breed apart; it takes a very special kind of character to become the best in the world at telling the person to the side of you where to go. And how quickly to get there. If you want an insight into the character of a co-driver, take this simple test. Next time you’re being driven, perhaps looking for a junction on an unfamiliar road, try reading a text message at the same time; write yourself a shopping list; change station on the radio; write a reply to that text message; and ask the person chauffeuring you to ask any number of inane questions to which you are expected to know the answer immediately. The ability to multi-task is fundamental for co-drivers. If focusing solely on the task in hand is your forte, forget it. You’ll be better as a driver. 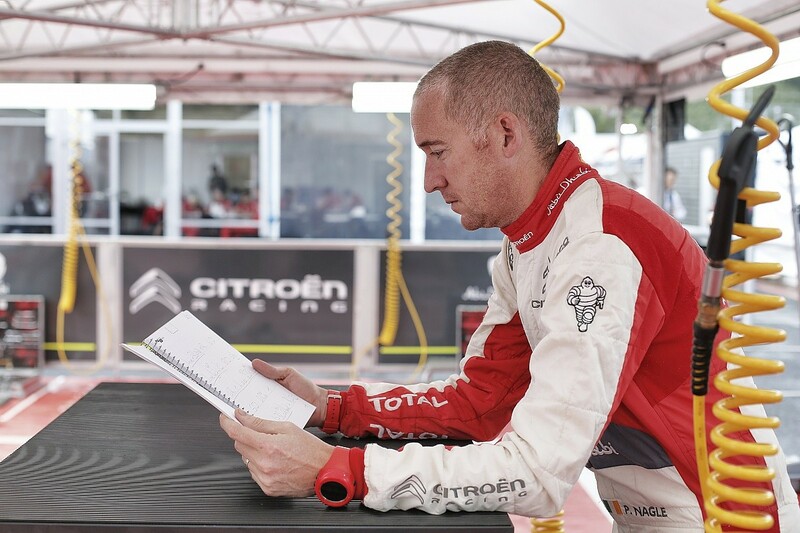 Stripped back to the basics, there are two main elements to the co-driver’s job: ensuring the car reaches the stages on time and then reading pacenotes on the stages themselves. It’s called the recce. Depending on the length of the rally, two or three days before the start, the crew drives all the competitive sections twice at a maximum speed of 50mph to write the crucial pacenotes. The co-driver will read these back when they’re in the rally car, often travelling at twice the speed they managed in the recce. Listen carefully to the onboards and you’ll sometimes hear the driver say: “Put a minus on that” or “stick a ‘nips’ on the end there”. A minus would instruct the driver to lift slightly ahead of the apex, while ‘nips’ indicates a corner tightening slightly at the exit. This is where multi-tasking comes in: you’re reading the current note and looking along or down the page for the next one, readying yourself to deliver that, when a voice in your ear tells you to change the previous one. And this can be happening at 120mph when you’re six feet in the air between the trees or being thoroughly shaken around as you rip through a super-quick section on asphalt. Changing the notes entirely is a reasonably rare occurrence at the highest level. 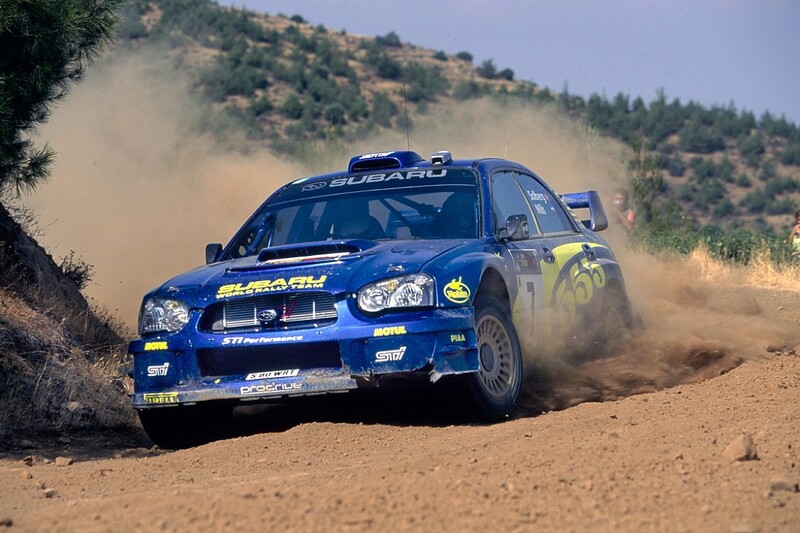 Robert Reid won the 2001 world championship with Richard Burns and well remembers rewriting notes. “There were some places that, looking at the map, you’d think hadn’t changed at all,” says Reid, “but then you get in to the recce and the road could be quite different. This would happen in some of the stages in south Wales, when Rally GB was based out of Cardiff. 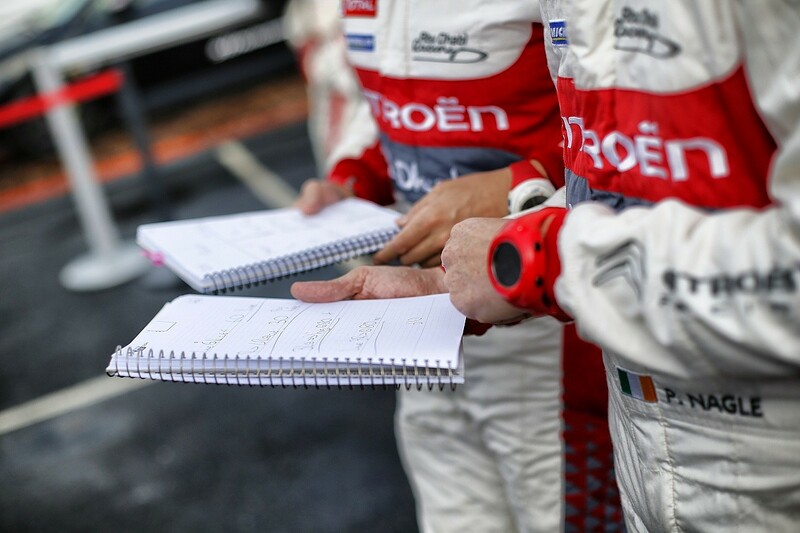 When you see co-drivers reading, writing or rewriting, it looks like they’re using a regular spiral-bound notebook. Generally speaking, they’re not. The professionals are pretty much all using books handmade on a farm in Lancashire by one-time BTRDA Gold Star Rally champion Martin Meadows and his wife Helen. Meadows’ brother is John – former Mitsubishi works co-driver – and the Safari specialist was fundamental to what has become something of a cottage industry. “I was with John after one rally and he was telling me how bad the pacenote books were,” says Martin Meadows. Dan Barritt, the winning co-driver at last year’s Wales Rally GB, wouldn’t consider reading from or writing in anything other than one of Meadows’ books. What is it that makes this book work? The paper, for a start, is just the right weight and shade. “It’s the paper HM Government and the banks use for their forms,” explains Meadows. The binding is the other key feature, with its rather tortuous-sounding ‘twist and remove spine’. “When you do the recce,” says Meadows, “you don’t necessarily do the stages in the order of the rally’s actual itinerary; you don’t always do stage two before stages three. Previously, you would make the notes and then copy them out to make sure they flowed in rally order. 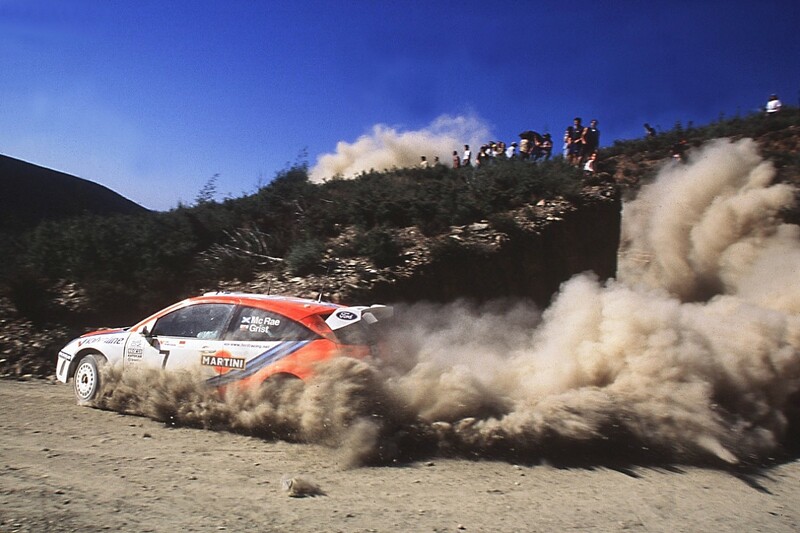 Co-drivers like to have the stages for a specific loop or day in one book – there’s less chance of losing them. “Copying notes can be fraught with risk. A co-driver is usually doing that job at the end of the day of recce, so they’re quite tired and it’s easy to get distracted and miss a note out. 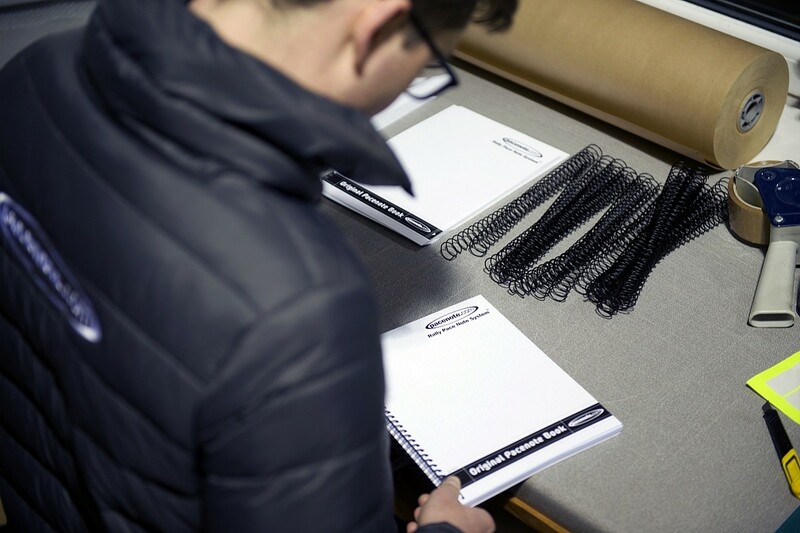 “What John and Ian wanted was a ring binder-type set-up where you could slot pages in and out – that’s where the removable spine came from; you can take the spine out and reorder the pages as you want. Another key is the strength of the spine. We’ve worked to find one that’s really strong – it doesn’t bend or deform, which means the pages will always turn. In a discipline that’s so driven by pushing technological boundaries, it’s remarkable that such a key element of rallying – the business of delivering the vital route information between co-driver and driver – remains so basic. Surely, in this modern era, with the continued advances in satellite navigation, it would be possible to find a solution that betters what’s been around since the sport’s very beginning? Companies have tried sat-nav-based systems for delivering notes, but it just doesn’t work. Co-driving is such a nuanced craft, even in an ever-changing environment, that it’s almost impossible to see the pencil (which has to be 2B, since the lead offers a perfect range of shade) and paper being replaced. “Writing pacenotes is still a very personal thing,” says Meadows. “People have thought of trying to computerise the process or using an iPad, but it’s just not quite the same. There’s almost some emotion involved in the thing. “For example, quite often a co-driver will use an exclamation mark to note caution, but if there’s something really bad coming up, then each co-driver will have their own little way of making it clear, be that pushing harder on the pencil to darken an underline or something like that. The non-competitive time-keeping side of the job – the getting of the cars to the stages on time – will change. Currently each crew is given a set of time cards complete with boxes to be filled in when the car is checked in to each control. The time to the next control is still totted up in the co-driver’s head, to ensure they arrive on the allocated minute. Failure to do so will result in penalties added to their accumulated stage times. For those who find keeping track of time a bit of a nightmare, salvation isn’t far away. Numerous companies are working on systems that will work by tapping a card (think of a hotel keycard) at each control. This will beam the data to the organisers and to a control unit in the car. A co-driver’s reliance on advanced mathematics was lessened greatly by the introduction of Fastime Copilote Rally Watch. Developed – again with input from co-drivers – by former Subaru and Toyota sporting director George Donaldson and accountant and rally enthusiast Robert Thacker, the watch is another brilliant British contribution to the art of co-driving. The co-driver loads road timing into the watch and is then given a countdown to the scheduled arrival time in the next control. Once there, the watch requests the next time and the process rolls on. The watch also stores stage times, compares them with the competition, and also tells the time. When it comes to writing notes, there are two schools of thought in terms of putting the code on the page: horizontal or vertical. 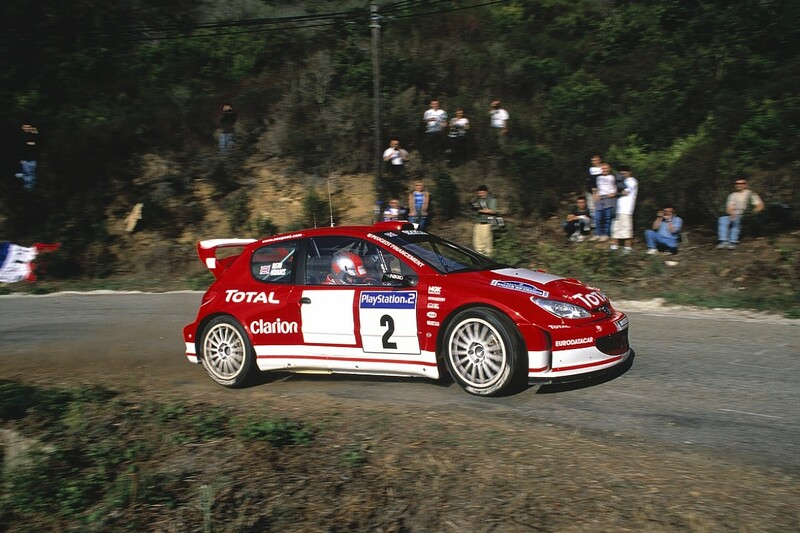 Reid started writing across the page, but ultimately followed the lead of Michele Mouton’s co-driver Fabrizia Pons. “If you write the notes horizontally then you could end up with four or five lines of notes,” says the Scot, “whereas if you write vertically you get two columns. When you’re calling notes, you want to make the process of reading them is as easy and straightforward as possible. 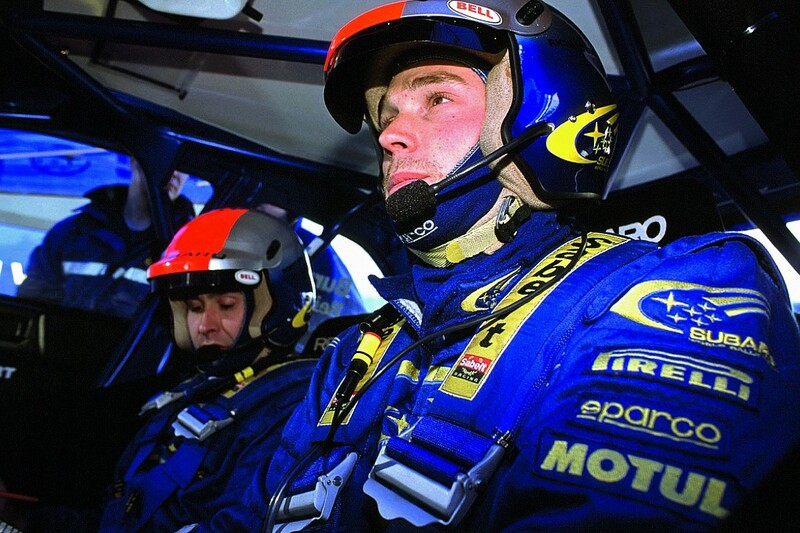 Reid’s left thumb came in even more useful on the 2001 Rally GB – the event where he and Burns were crowned champions. Reid remembers: “Richard and I had just left service when I reached over my shoulder to turn on the map-reading light that should have been there. We were only allowed the map light in the car when we were going into night stages – such was designer Christian Loriaux’s obsession with keeping the car’s weight to an absolute minimum [when Loriaux moved to Ford, he took this a step further and only allowed co-drivers to carry one pencil in the car with them]. The ability to think clearly and remain calm under the ultimate pressure is vital. You’ve got to be ready for anything – as 2003 world champion Phil Mills testifies. Without missing a beat, or a note, Mills grabbed the bird – which had already met its end after bumping into the Subaru – and dropped it into the footwell. But feeling the pace and direction of the car is what sets the good apart from the great. The one thing that upsets that rhythm in the car is fog. Scott Martin remembers some nervous moments guiding Craig Breen through an especially foggy Aberhirnant in Wales last year. “You’re totally focused on reading the notes,” says Martin, “but you’re subconsciously prepared for what the car’s going to do. When you call a hairpin, you know when you’re going to be pressed into the belts. It’s in the fog where the level of detail in notes really shows up. 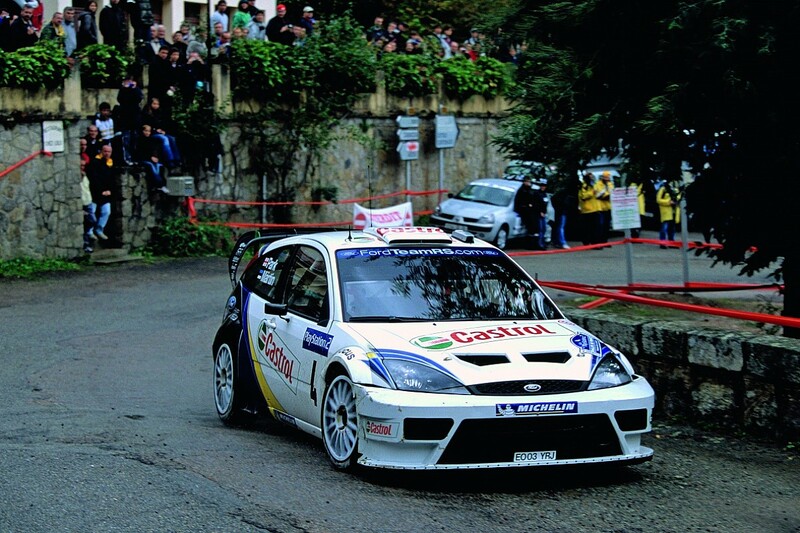 McRae, for example, used a gear-linked numeric system where a six right would mean a very fast sixth-gear right-hander. The 1995 world champion liked to keep things simple and so added in very little detail around those numbers. Burns, by contrast, used a far more descriptive system and would regularly make three corners out of one. Nowhere was this seen more obviously on the 1997 Rally GB, when Burns dominated a foggy Radnor stage, taking 1m33s out of McRae in 10 miles. “Even in the fog, driving pretty much blind, Richard knew what was coming because of the detail in the notes,” says Reid. It’s in those trying conditions that a good co-driver will know when to chivvy their partner. Not that this sort of advice is always welcome. Markko Martin was a driver who always struggled in the fog and didn’t take co-driver Michael ‘Beef’ Park’s advice particularly well. 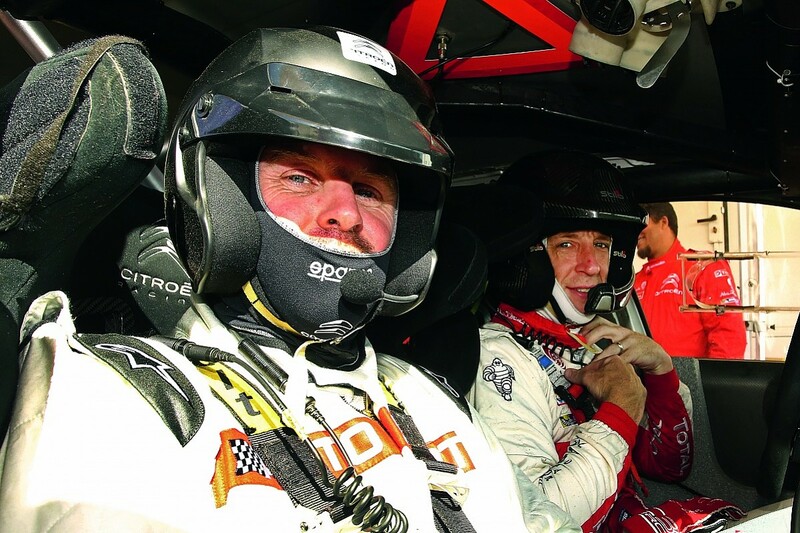 Experienced co-driver Stuart Loudon found himself in the unusual position of guiding former England cricket captain Graeme Swann through Wales Rally GB in 2014. Swann’s initial response was, of course, completely natural. He’d probably never been upside down in a car before. Hang on to the pacenote book. Told you co-drivers were a different breed. The last time I co-drove Kris Meeke, we were in Citroen’s equivalent to a transit van at Silverstone rallyschool and Dungannon’s finest was telling me what to do in the event of what felt like an almost inevitable accident. This time it’s a bit different: the Meeke company motor, a set of Paul Nagle’s pacenotes and a half-decent stretch of gravel road. I’ve always quite fancied the idea of co-driving. I once navigated David Higgins into a huge lead on the Kent Forestry Stages, only for him to ruin my moment in the spotlight by dropping us in a ditch after a corner appeared unexpectedly. A corner I might have forgotten to mention. Strapped into Nagle’s seat, I wiped such negativity from my mind and focused on the job in hand. Having already had one go at the stage, Meeke had been given a brief insight into my incompetence. Second time around, I’m much more relaxed and do actually manage to say the right thing at vaguely the right time. Or at least I thought I did. Kris snatching the book out of my hand and throwing it the footwell might indicate we weren’t on the same page. 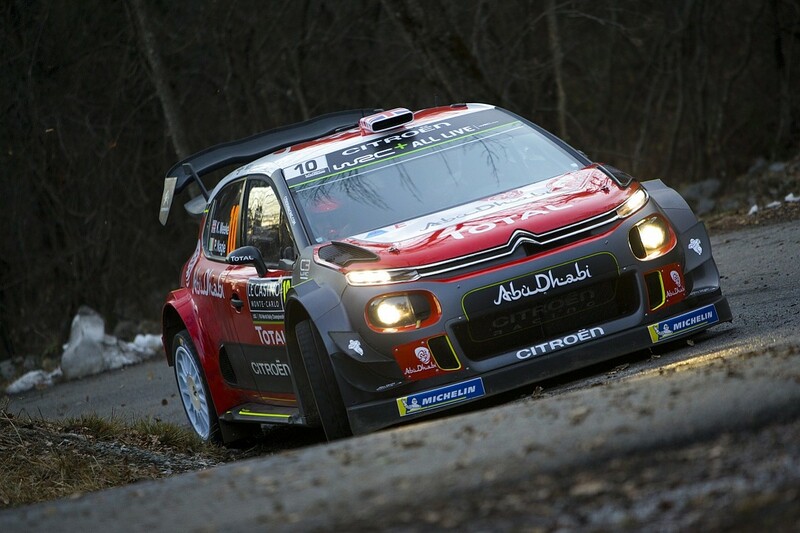 The inside of Citroen’s C3 WRC was a claustrophobic and intimidating place for one so far from their comfort zone, but at the same time it was hugely exhilarating and a real insight into what Nagle does. Between you and me, there’s more to it than sitting down and reading.